A unique skull pendant design necklace. This brightly coloured crystal necklace is the perfect statement piece. 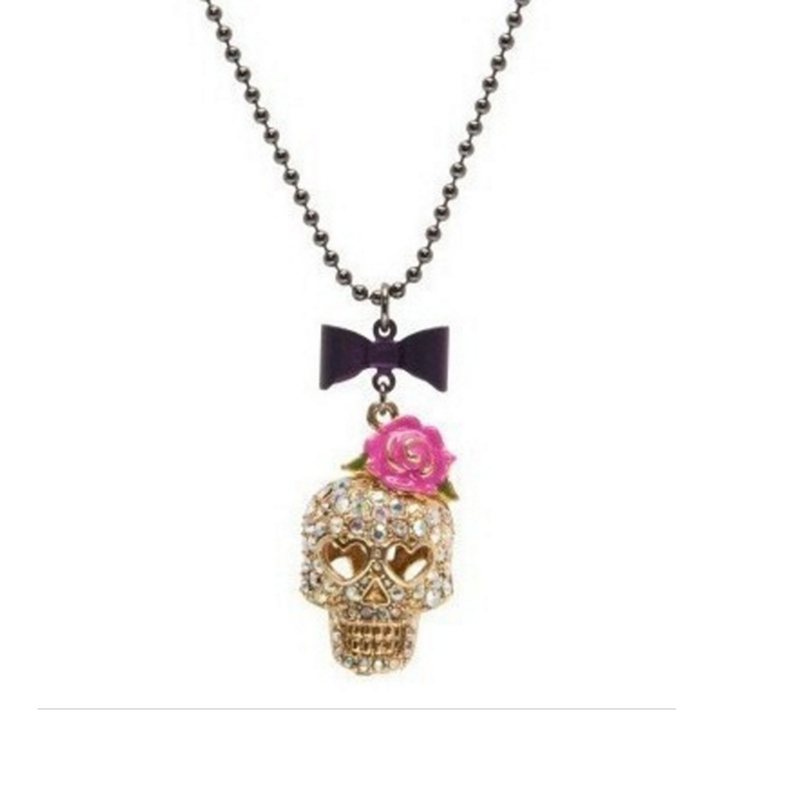 The gold skull pendant is decorated with silver crystals and has a brightly coloured pink flower. This beautiful pendant is supported by a purple bow pendant followed by a strong chain.